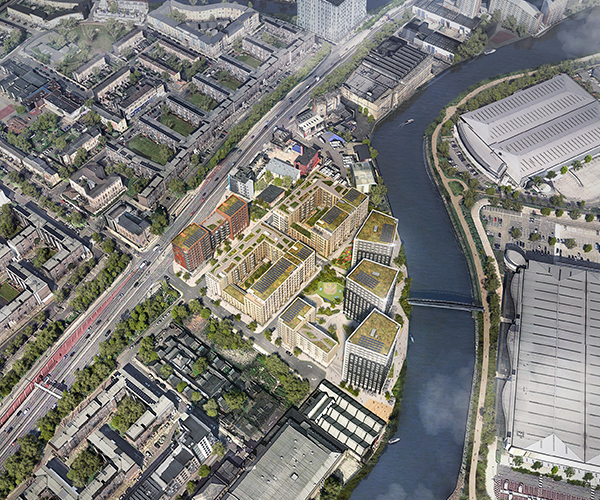 Ailsa Wharf will regenerate one of the last remaining brownfield sites in Tower Hamlets, transforming a heavily contaminated 2.5ha tract of land next to the River Lea which has laid barren and unused for many years. 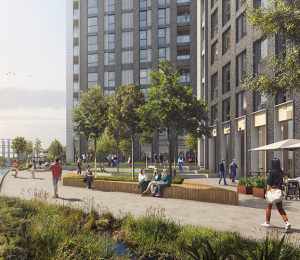 Situated between a busy urban motorway and the river, the key to unlocking this site has been to change the perception of it, from post-industrial wasteland to new urban quarter. 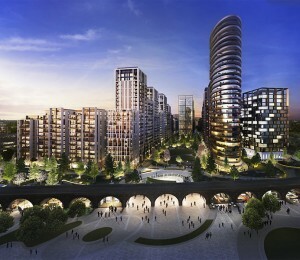 The site has complex land ownership issues which have held back various other attempts to bring it forward since 2003. 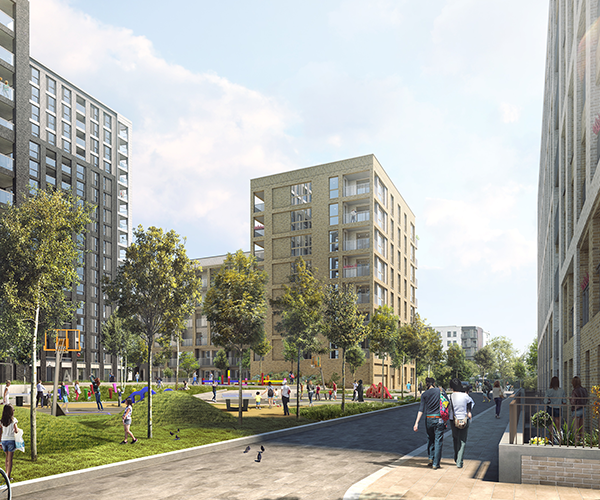 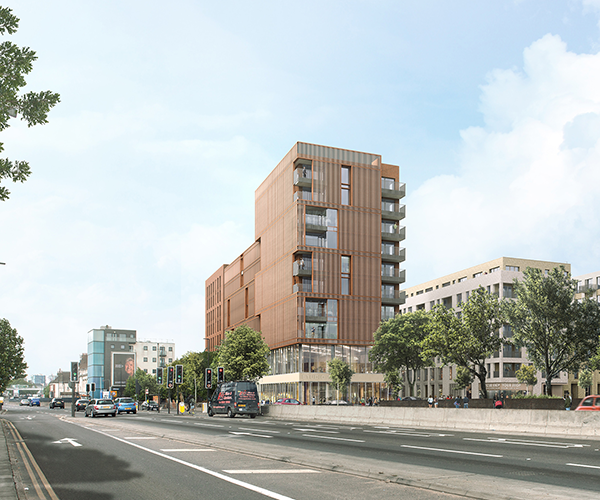 Our proposals will create a vibrant mixed-use hub of new homes, offices, retail and leisure facilities in 13 buildings varying between 3 and 17 storeys set within significant areas of new public realm. 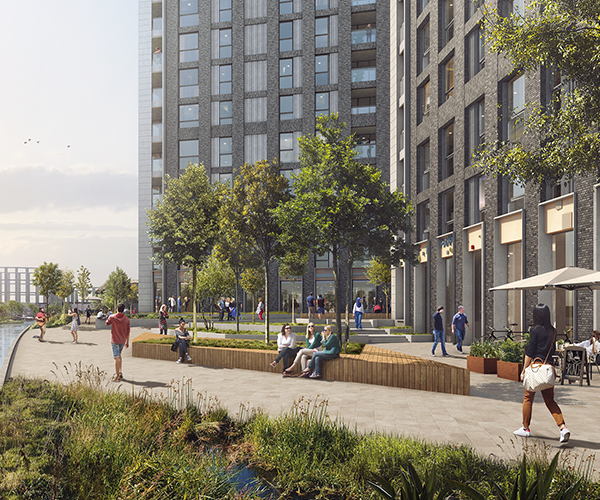 Designed to improve permeability, a welcoming link is created through the site to a new riverwalk, alongside the potential for a new footbridge across Bow Creek linking Tower Hamlets to Newham. 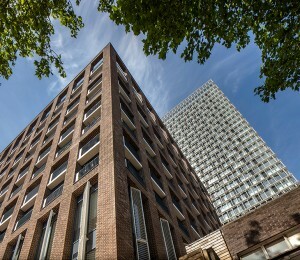 The concept creates three character areas, each with a distinct identity: a commercial ‘buffer’ building to the A12 finished in red brick with terracotta louvres announces the development, mid-rise light brown brick courtyard buildings reinstate an enhanced street pattern and three taller, angular buildings in grey brickwork with a white aluminium frame sit in a waterside setting. 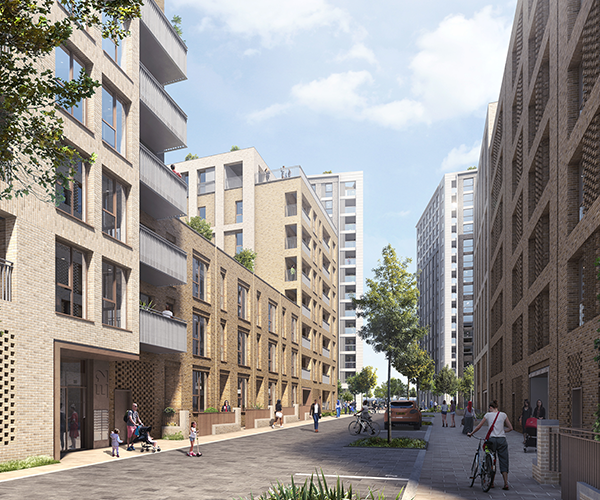 Homes range in size from studios and one bedroom apartments to four bedroom townhouses, all with outstanding amenity, aspect and excellent standards of living accommodation. 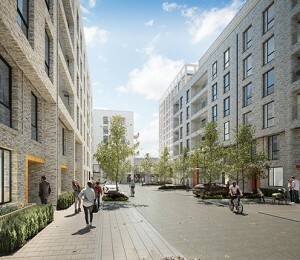 35% of homes will be affordable housing.